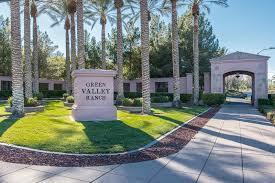 Gorgeous 6 bedroom 4 bathroom corner lot minutes from Green Valley & GVR Casino. Move in condition!This home Features In-ground Pool, Laminate/Tile Flooring, Plantation Shutters Throughout & Gorgeous Indoor Stone Working!. Huge Island with a Built-in Wine Fridge! Modern Tile Backsplash! 3 zones central air. Downstairs guest bedroom and bathroom. Ceiling Fans & Fireplace! Updated kitchen & Bathroom cabinets, and granite counter tops. RV parking. Fabulous location in a highly desirable school district! Close to entertainment, GVR Casino, dining, shopping and the I-215. Stately home offers tons of incredible spaces that can be adapted to many needs! Large Master suite with covered balcony; new stainless steel appliances, bedroom down with 3/4 bath. Many replaced window (lifetime warranty! ), under stair storage area, and private pool/yard. Community has direct access to Bob Miller MS! Beautiful 1-story, highly-desirable area, 1/4+ acre. Entertainer x2019;s dream! See LV strip from private backyard w/pool, cov patio, lg trees, & nat lawn. Freshly painted inside & out! Has LR & DR, great rm, 4BR/3BA. Kit w/island, dining area, door to patio. Great rm w/floor-to-ceiling library, fp, & ceiling fan. MBR is sep w/door to patio, MBA w/split vanities, garden tub, sep shower, WIC. Lg front yard w/lawn, XL driveway, 3-car gar. Great schools! OPEN HOUSE TOMORROW April 21st FROM 12 to 3. Lots of upgrades, end of cut-de-sac location! Vaulted ceilings at entry, large kitchen with specious island, new plumbing fixtures dishwasher. Master bathroom w/ large jet tub, tiled shower, floor and walls. Updated guest and upstairs bathrooms include new tile and plumbing fixtures. Wooden shutters throughout. Upstairs bonus room/loft. Covered Patio, Pool, Spa w/ putting green. New Exterior paint.